The blockchain community is undoubtedly a global, decentralized assortment of people and companies working collectively on an ever increasing wide scope of projects and potential use cases. 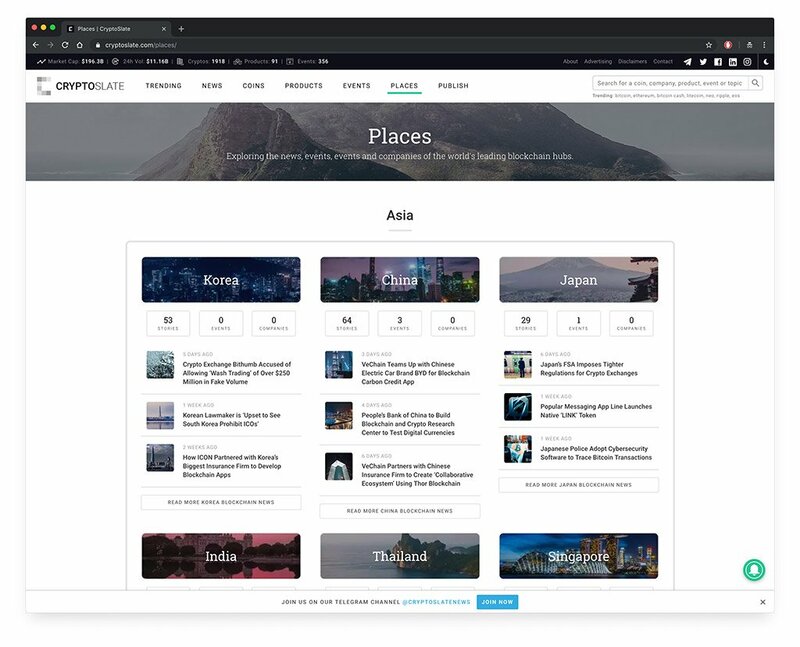 In an effort to unify and integrate this domain, our newest feature, CryptoSlate Places, is designed to organize and coordinate news, events, companies, and projects for localized blockchain hubs worldwide. How did we decide which locations to launch first? We will begin by launching with 11 places with the inclusion of other locations in the near future. As CryptoSlate tracks over 1,900 cryptocurrencies and over 300 events, we identified where the most activity is happening. The initial places were selected by analyzing source location from 1,300+ news stories on CryptoSlate. 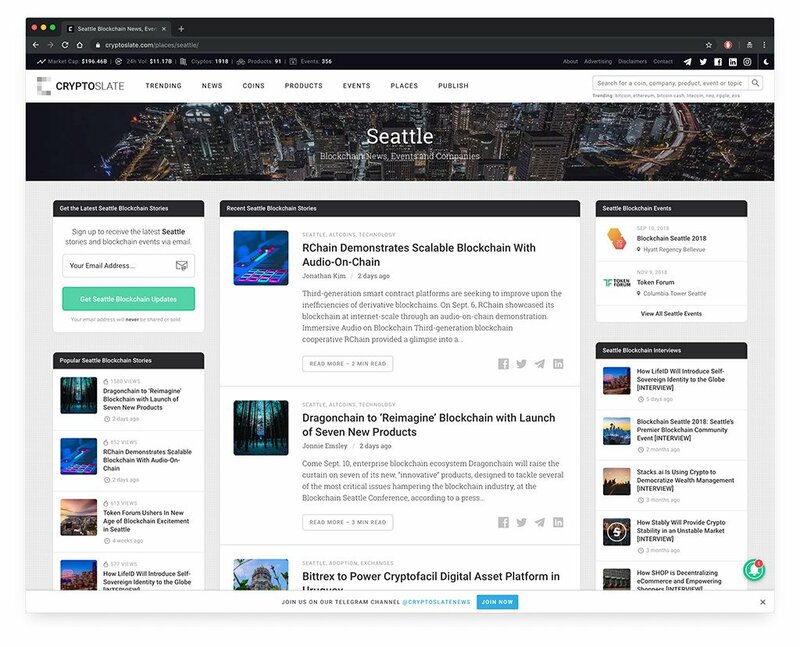 CryptoSlate Seattle – Although the CryptoSlate headquarters are in Seattle, Washington, the city is still actively becoming a blockchain hub. Currently, home to over 40 companies, Seattle has seen a wave of large networking events since the inception of CryptoSlate, including Token Forum, Blockchain Seattle and Blockchain NW. 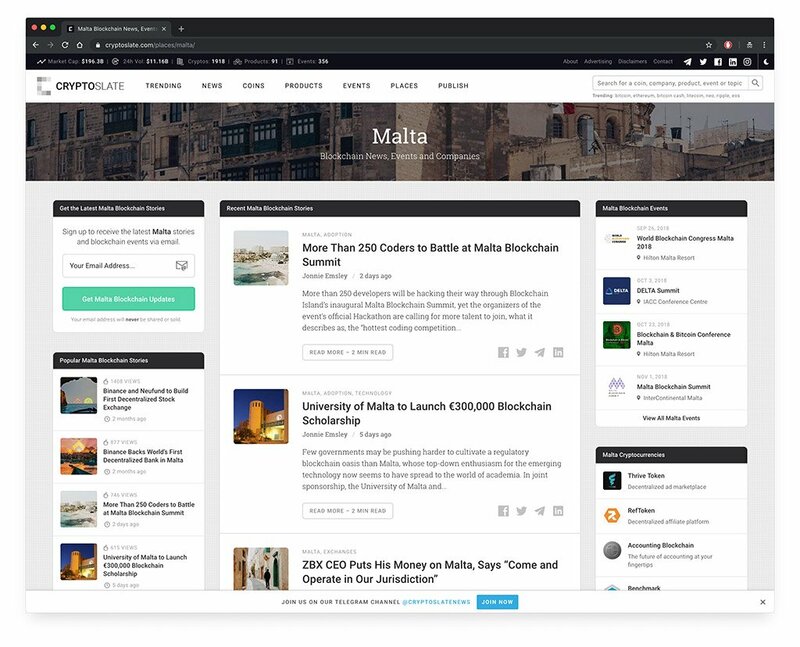 CryptoSlate Malta – Also known as “Blockchain Island,” Malta has become one of the premier European hubs for blockchain activity. In the past several months, many exchanges have relocated to Malta, including Binance, OKex, and ZBX. The Malta Blockchain Summit in November of this year promises to further establish Malta as a world-leading blockchain center and will attract over 4,000 delegates across the globe. 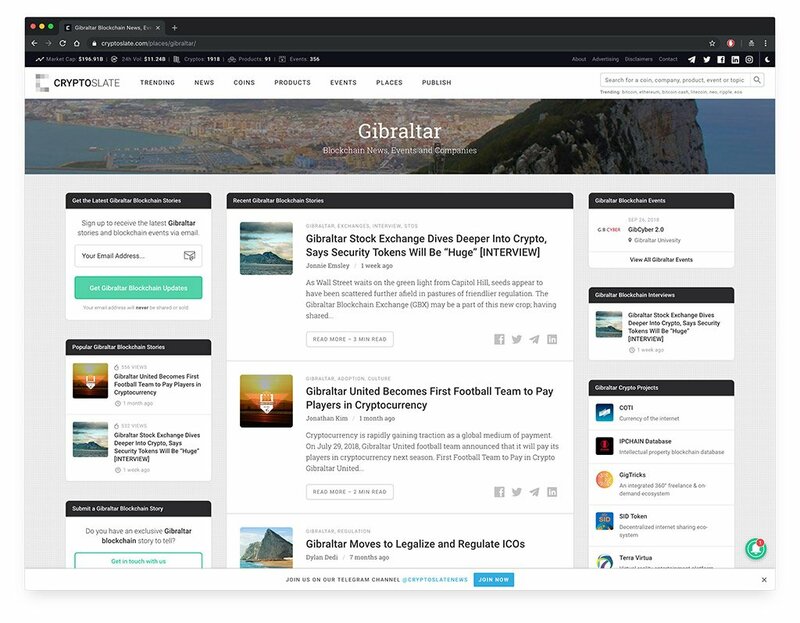 CryptoSlate Gibraltar – Gibraltar is currently home to numerous blockchain companies. As a British territory with a blockchain-friendly government and regulation for ICOs, Gibraltar has attracted many new startups and hosts many FinTech events, such as GibFin. 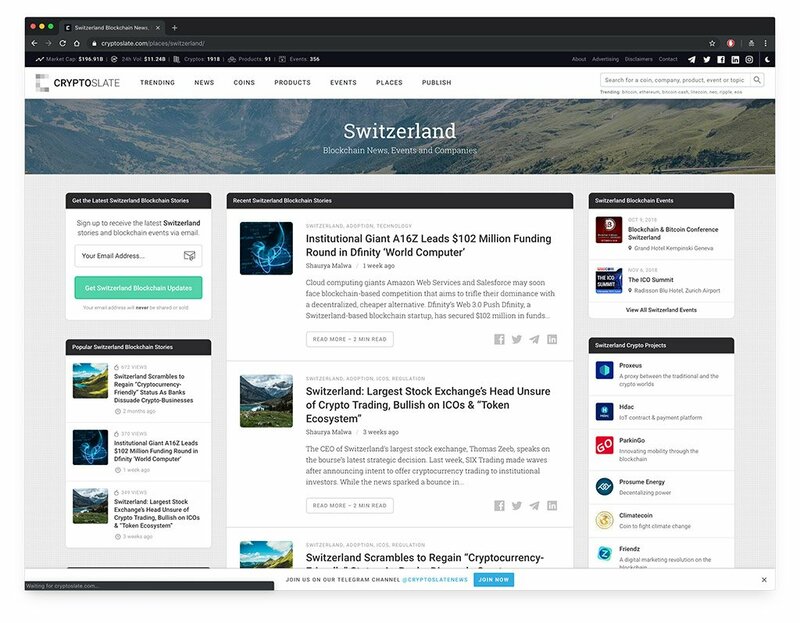 CryptoSlate Switzerland – With Zug Valley affectionately known as “Crypto Valley”, numerous projects and foundations operate from Switzerland including the Ethereum foundation. CryptoSlate Thailand – Home to numerous blockchain startups including OmiseGo, Thailand has become increasingly crypto-friendly with the Bank of Thailand set to launch a state-issued digital currency. 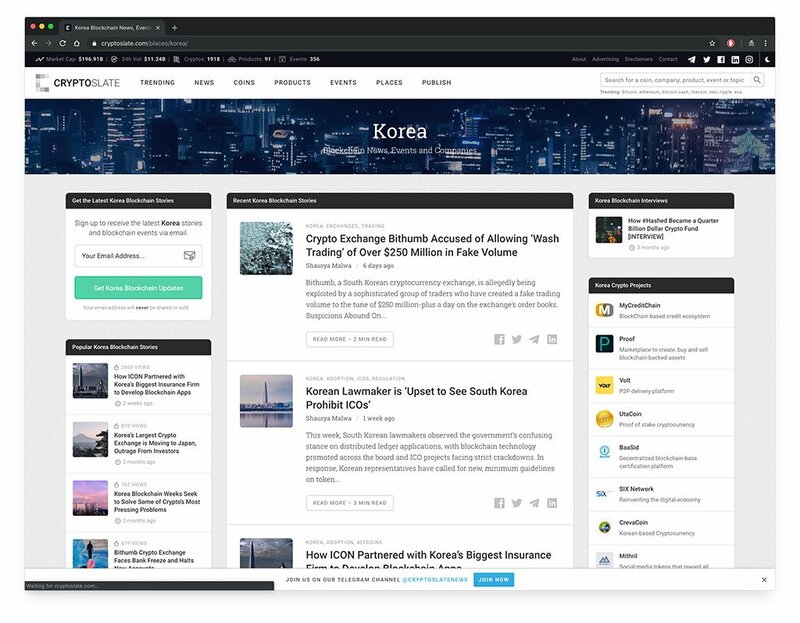 CryptoSlate Korea – South Korea is the largest trading cryptocurrency trading market on earth and has one of the highest adoption rates. 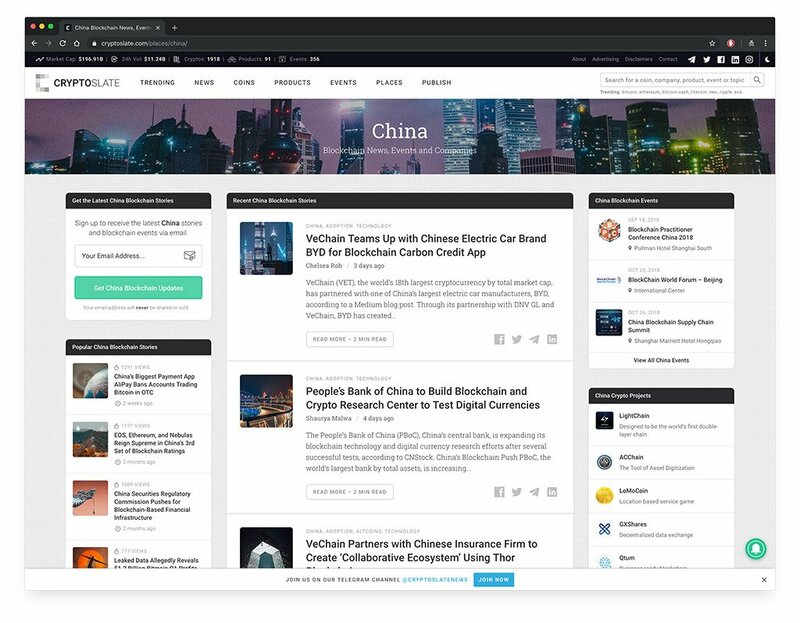 CryptoSlate China – Despite banning cryptocurrency trading and foreign events, there is still a substantial level of blockchain development and investing within the country. 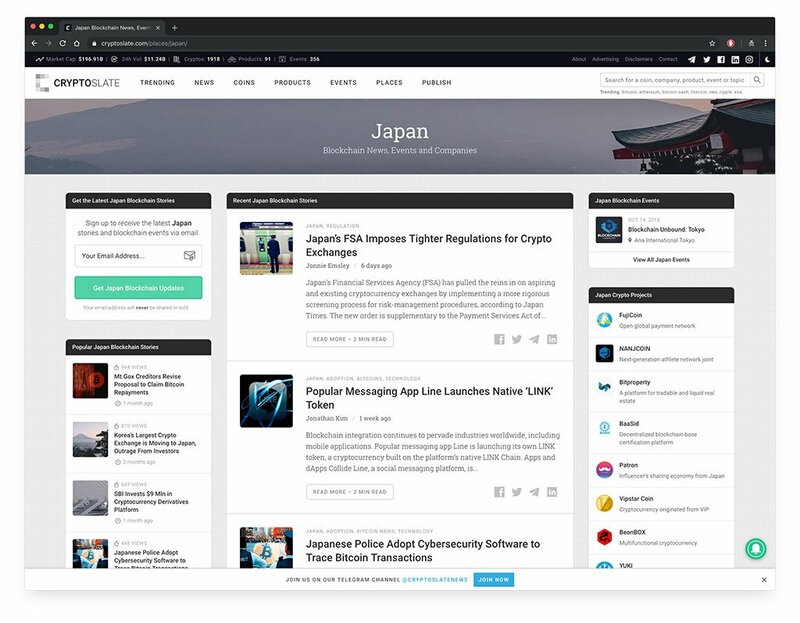 CryptoSlate Japan – Home to many large exchanges, Japan is another location known for its ultra-high adoption rate. 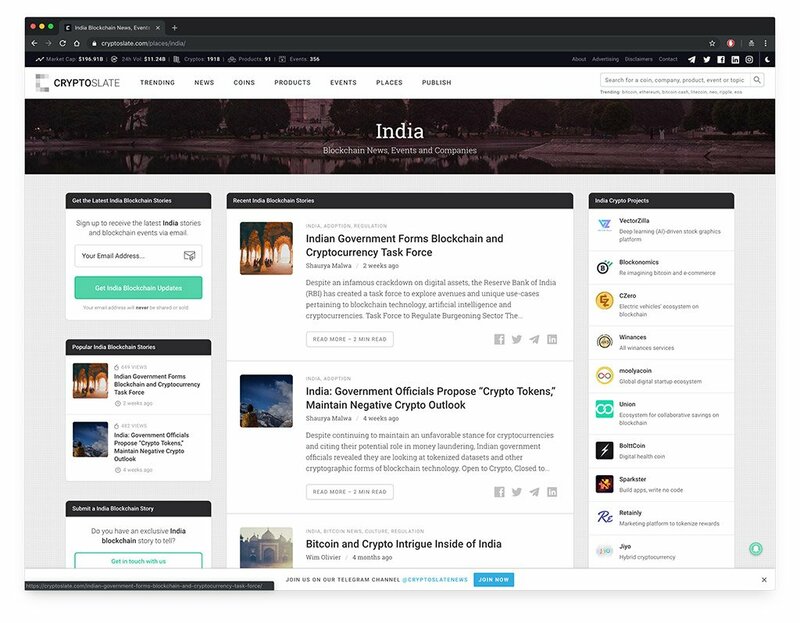 CryptoSlate India – Although its government has had a restrictive attitude towards cryptocurrencies, there is an increasing amount of interest and activity happening inside of India. 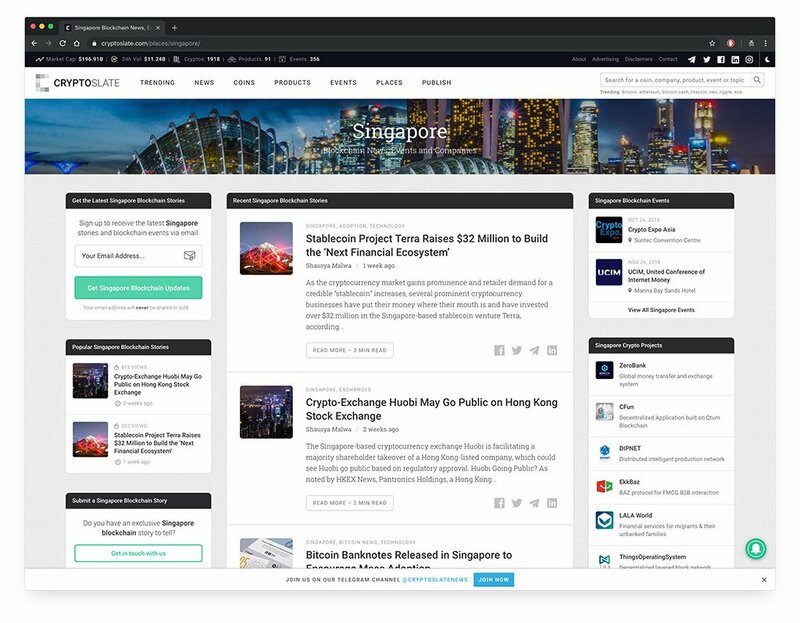 CryptoSlate Singapore – An island city-state off southern Malaysia, Singapore is quickly becoming a premier destination for blockchain companies and crypto projects. 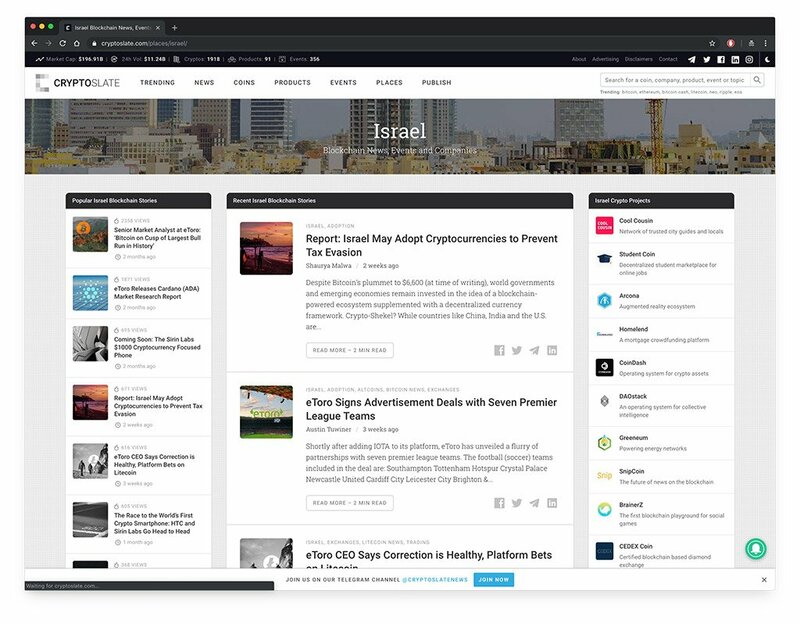 CryptoSlate Israel – Tel-Aviv is home to a large number of cryptocurrency projects and large companies such as eToro. We are actively working to incorporate additional locations as CryptoSlate Places develops. Future places will include additional locations from North America, Africa, Europe, Oceania, and the Middle East. Tell original stories from people, companies and communities building or using blockchain technology. 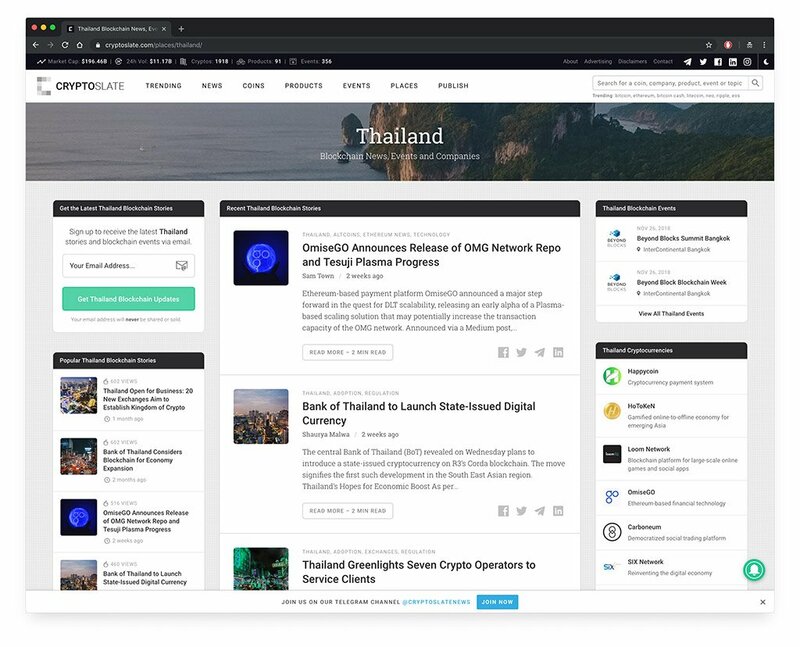 On each CryptoSlate Places page, you can subscribe via email to a particular place, which will include a daily digest of local news, new events, projects, and companies. Please leave a comment or contact us directly if you are interested in being a correspondent or representing your location to support any recent or on-going blockchain news, projects, and events for CryptoSlate Places. The post [ANN] Explore Blockchain Hubs Around the World with ‘CryptoSlate Places’ appeared first on CryptoSlate.